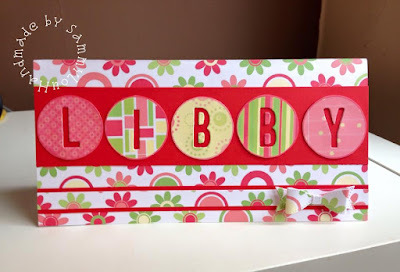 Sammylou's Adventures In Craftland: Funky Hand - Libby Lollipop!! 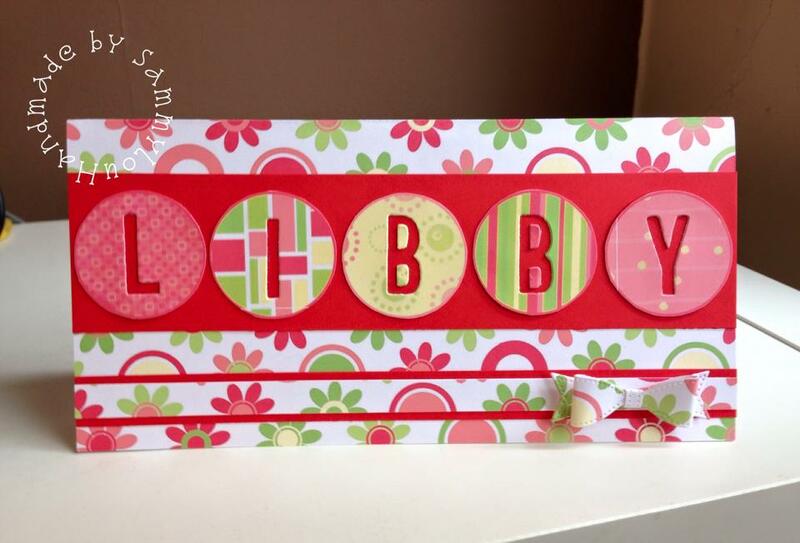 Today I am sharing a card I made for my niece's birthday, using the Lollipop colourway from the Now That's Funky cd rom. I used the sentiment backers to create toppers by die-cutting her name. Then used a cute Sue Wilson die to create a bow. Layered it up and we're good to go! I will see you all later in the month for another share.